While Mortal Kombat XI has been rumored practically to the point of inevitability, it was still a surprise when Ed Boon revealed the new game at last night's Game Awards. The trailer, which was set to an original track, showed Dark Raiden from Mortal Kombat X's ending facing off against Scorpion, which seemed about right. It then raised more questions when Scorpion re-emerged in his Mortal Kombat II garb, once again sporting the powers of a demon. If you're confused about this, don't worry, you're not the only one. 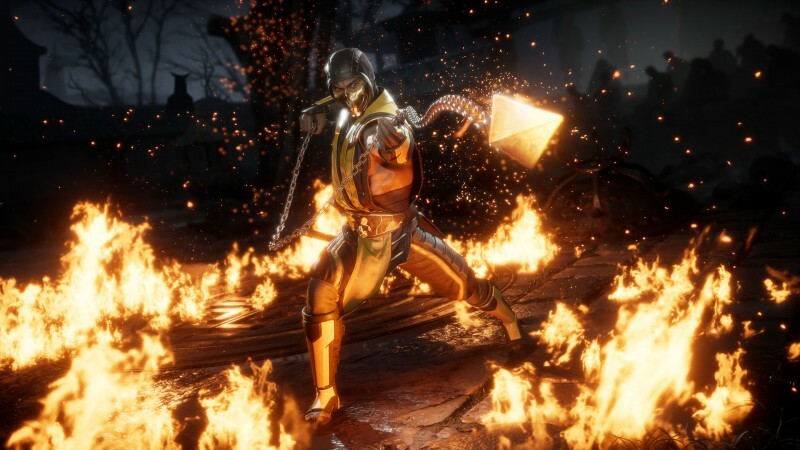 In a press release, developer Netherrealm describes the story as "time-bending," suggesting that multiple incarnations of long-running characters will be present for the tournament. It would be a good way to bring back characters left by the wayside when the story rebooted with Mortal Kombat 9. The press release also confirms that character variations will be a major factor, though it seems to be taking more from Injustice 2's character customizations than the the multiple styles that were present in Mortal Kombat X. Netherrealm has seemingly taken feedback on the balance of the variations from both games to better implement them now.